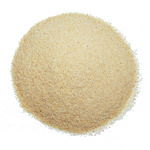 Pineapple Natural Flavoring | Natural Flavorings | Spices Etc. 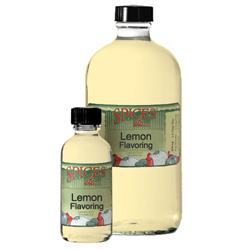 Pineapple Natural Flavoring has the taste of the islands and it is one of the most versatile flavorings to use in the kitchen. While Pineapple Flavoring has many uses, the most popular include fruit salads, baking, meats (especially ham) and fruit drinks. Make a Pineapple Upside Down Cake really pop with a distinctive flavor with the our Pineapple Flavoring. Made with natural flavors. 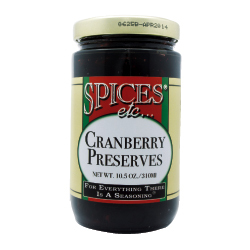 Non-flavor ingredients include water, alcohol (14.8%), citric acid. Pineapple Flavoring the secret ingredient. I was baking a my grandmothers pound cake recipe and didn't have the lemon & orange rind it called for. I had a bottle of your Pineapple Flavoring in the refrigerator so I used a tablespoonful along with a teaspoonful of Vanilla to flavor the cake with instead. I brought the resulting cake to a party and my friends went crazy over it. They all asked me for the recipe and I told them that it wouldn't taste the same without purchasing the pineapple flavoring form Spices Etc. Everywhere I take this cake, flavored with your pineapple flavoring people go crazy over the flavor of the cake. It is ironic that the pineapple flavor when combined with vanilla just pops the flavor of this cake ten fold. People always ask me, "What did you put into this cake?" They cannot identify exactly what the flavor is, but they just love it. I call it the secret ingredient that everyone should know about. Thank you for making this product available. My grandmother would have loved it too. Her pound cake was great before, but now it is incredibly delicious. 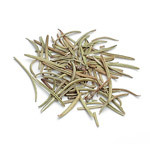 we purchase different spices/flavorings from spices etc for recipes which are hard to find locally.we are pleased with the freshness and quality. Love your products. I have ordered your pineapple flavor 3 times now & it seems each time that I have received it, the flavor of it is even better. Keep providing great products!! 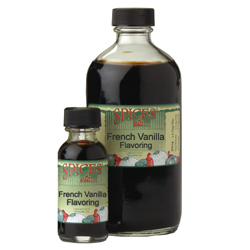 French Vanilla Flavoring - 2 oz.